Holidays and different seasonal events provide opportunities for the church to minister to unique needs and can be a platform for outreach and special teaching. Think about what tends to happen over the holiday season. So much of our time, attention, efforts, and resources go into preparing for the holidays that we barely enjoy this special time of the year. We can become so distracted that we lose focus of the One who deserves our praise, thanksgiving, adoration, and wholehearted devotion. Already a busy people, we become even busier around the holidays. Though a time of year our thoughts should be centered around the Lord, we can become too busy to spend real time with Him. Take this Challenge: Keep Jesus a priority. Already a material people, we become even more dazzled in finding the latest fad or most popular brand, the newest decorations or table settings. Does our quest for getting it just right crowd out sharing of the best gift — Jesus Christ? Remember: Jesus is more than a fad. He is always relevant for Jesus is the same yesterday, today, and tomorrow. Already a stressed out and emotionally fragile people, we become even more burnt out or feeling alone at the holidays. Yet, during this time of thanksgiving and celebration we should feel more alive because of the hope we have in Jesus. Make a Choice: Lay hold of that abundant life Jesus came to give you that’s full of peace, joy, and contentment. Already maxed-out, we become even more in debt, tired, and wanting to get away from people. Yet, it’s a time that should bring us together, grateful for people in our lives and for all we have been given. Run to Jesus: He said, “Come to me, all you who are weary and burdened, and I will give you rest” (Matt. 11:28). Holidays affect the normal flow of church life whether intentional or not. Pastors, teachers, ministry leaders and workers should be aware of the effects of holidays, prepare for them, and make the most of them. Remember that we are exhorted to make the most of every opportunity (Eph. 5:16; Col. 4:5). Be prepared for a different group dynamic. Use it as time to share the Gospel. Don’t bemoan who isn’t there but rather, remember them in prayer and maximize the time with those who are there. Use holidays to bring home points not usually covered throughout the year but remember that there are still on-going needs and ministry to be addressed. Build margins into your schedule to be available for on-going ministry unrelated to the holidays. 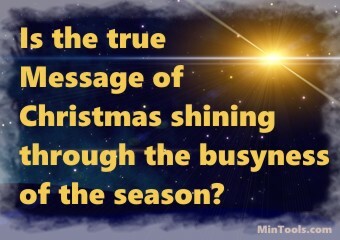 Don’t lose focus on the essentials of life in Christ in the busyness of the season. Continue to nurture your own walk with God and encourage others to do so as well. Establish a means for those traveling for the holidays to still give to the ongoing work of the church. Plan for ways to use extra giving beyond the budget for special projects, benevolence, etc. Don’t pressure people but at the same time, keep stewardship and the vision before them. Be sensitive to people’s schedules and distractions in the way you plan. Be available for counsel, to pray with and assist them as needed. Don’t add more stress and turmoil to their lives. Be a beacon of light and comfort to help them navigate these times. The next post will look at how the holiday season can affect our lives. Subscribe to receive e-mail notice of new posts. Labor Day Is . . .
Labor Day, celebrated the first Monday of September in the U.S. and Canada, is a holiday to honor the labor movement and contributions workers have made. Other countries celebrate it on the first of May. 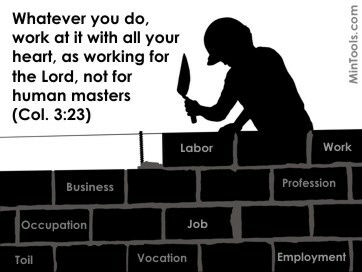 As Christians, we can use this day to reflect on work from God’s vantage. a time to reflect on the provision of having a job and be grateful to God. a time to reflect on the profit of work and understand how the benefits of working outweigh living on welfare when you don’t have to. a time to reflect on the purpose in working beyond the paycheck and let it affect your attitudes and motivations in going to work. a time to reflect on the pause from labor and admit your need for renewal. a time to reflect on the priorities greater than a job and maintain perspective. Graduation is . . .
God has brought graduates to this time of celebration. Just as He has been faithful in the past, so can He be counted on with the future. Each step forward can be taken in full confidence, knowing that wholeheartedly trusting Him rather than leaning on one’s own understanding leads to that which is best and for the good. Graduates, look at graduation as . . .
… with gratitude for all who helped get you to this point, especially God. … with anticipation of what God has in store for you. 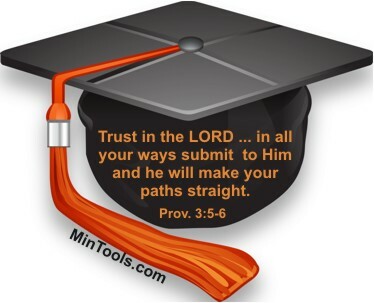 … with trust for what steps God wants you to take now. The next post will look at God as Our Father. Subscribe to this blog to receive e-mail notice of new posts. Easter is . . .
We know that Easter is about Jesus dying on the cross and then being raised from the dead. But, Easter is more than a nice story. It’s a reality that demonstrates truths about the kind of God we serve. Jesus Himself said that He shows us what the Father is like (Jn. 14:9). Easter is . . . a demonstration of God’s love and grace. Easter is . . . a demonstration of God’s judgment on sin. Easter is . . . a demonstration of God’s power. Easter is . 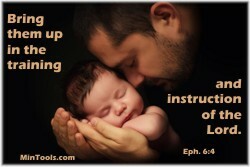 . . a demonstration of God’s wisdom. Easter is . . . a demonstration of God’s plan for the future.